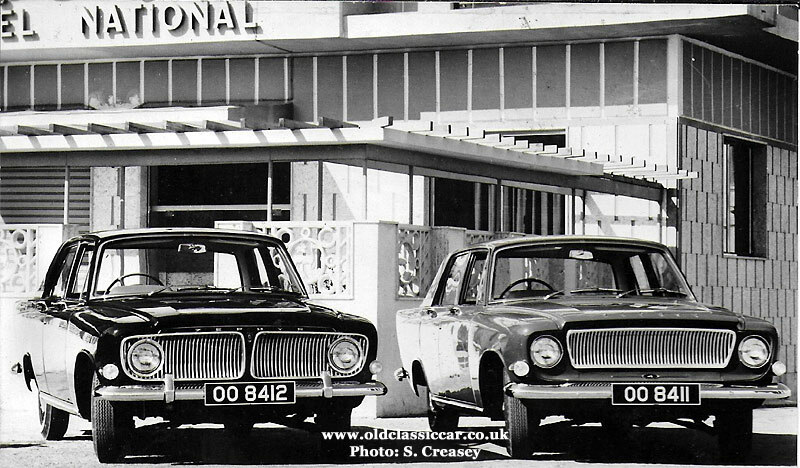 Mk3 Ford Zephyr 4 & 6 cars. Homepage. This page: Ford Zephyr 6 Mark 3 registration 2606 FM parked at the kerb, plus a Zephyr 4. 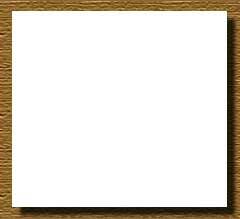 A photo from my own collection opens this page. 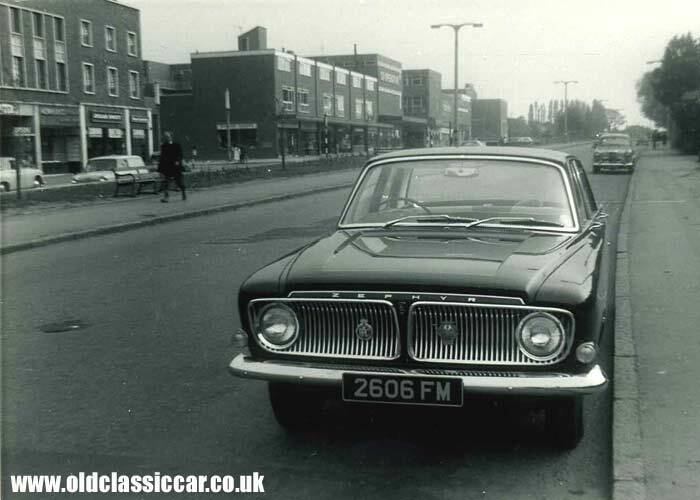 It shows a Mk3 version of Ford's Zephyr 6 saloon car, parked at the side of a road. The grille on this car confirms that it is a Zephyr 6, rather than the more basic style used on the Zephyr 4. The owner of this one was either not too confident in his Dagenham-built product, or simply liked to hedge his or her bets, judging by the fitment of an RAC and an AA recovery badge to the front grille. Also visible is a Wolseley 1500 or Riley 1.5 a little further down the road, and to the left in a layby an early BMC Minivan. I'm not quite sure about the car on the far left near the Mini, I had thought of the A40 Sports but the shape of the rear wheelarch doesn't look right. Another possibility is the Hillman Minx Convertible (with hood raised). Next, two old family photos sent over by Godfrey. The car shown below replaced a terminally-rusty Vauxhall Wyvern, and was his father's first (and only) brand new car. 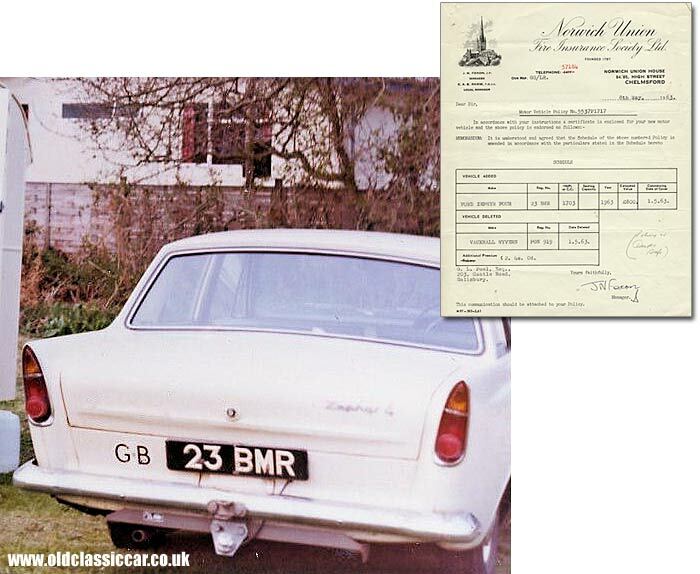 23 BMR was registered in 1963, and was an example of the Mk3 Ford Zephyr 4. The first of Godfrey's photos shows his father working on the car in 1968, and adds: "My main memory of this car is that we drove from Richmond Surrey to Torremolinos Spain, a distance of 1050 miles, for a holiday in 1966. It took us 3 days going, and 2 days coming back. On the way the rear axle universal joint, on the end of the propeller shaft, failed. We limped into Burgos Spain, where amazingly at that time, was one of the biggest Ford dealerships in Spain. Sadly this car was stolen from a car park at Coventry University in the early 70's. By this time the car was rusting badly and my father was more upset about losing all his tools that he had collected over the last 20 years, and which were in his tool box in the boot." The second photo shows the Zephyr on a family caravan holiday, in the early 1970s. The Mk3 range appeared in April 1962, making the Ford shown above a very early example of the breed. Both the 4 and 6 shared most of their body panels, only the grille treatment differentiating the 4 pot version from the 6. The styling of the Mk3 was bang up-to-date for the early 1960s - gone was the dumpy look of the Mk1, and the rock and roll look of the Mk2, and in were crisp lines and sizeable rear fins, no doubt inspired by the behemoths being churned out of stateside factories at the time. In the Mk3 Zephyrs both interior and boot space were very generous, the spacious seating allowing 6 occupants to be accommodated. The four cylinder car made do with rubber mats and a lower standard of trim overall, whereas the Zephyr 6 owner sat behind a wood grain dash, full chrome horn ring, and wall-to-wall carpeting. For those wanting the ultimate in Ford luxury, they'd have to order the higher specification Zodiac model, which shared its running gear with the Zephyr. The Zephyrs had a 'four light' body, ie with no rear quarter windows set into the back pillars, whereas Zodiacs could instantly be spotted, incorporating as they did this extra glass within each rear screen pillar. Detail changes would be made to these cars throughout production, which finally came to an end in 1965 by which time the totally different Mk4 was being readied for sale the following year. Owners of television sets in the early/mid 1960s will perhaps remember these cars as being the four-wheeled stars in TV police series Z-Cars. 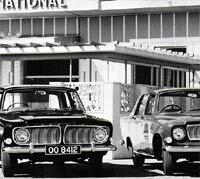 Ford Zephyr 6 and a Zephyr 4 promotional cars. Thanks to Stephen for ok'ing my use of his photo, nothing is known of the location nor why the two Zephyrs - with consecutive and very distinctive registrations (OO 8412 and OO 8411) - were photographed together. The picture makes for an interesting comparison between the two types of Mk3 Zephyr, the Zephyr 6 on the left, the Zephyr 4 to the right. A little digging shows that they were probably both Ford promotional cars. Elsewhere online I found a period promo photo of a family enjoying a day out at the beach, with their bright red Zephyr 4 Mk3 registration ..... OO 8411.